Online hackers have obtained Pirates of the Caribbean: Dead Men Tell No Tales and are threatening to leak it ahead of its scheduled Memorial Day opening. At this time it is not known if these are the same online "pirates" Dark Overlord who leaked Netflix's Orange is the New Black two weeks ago, but it does not appear to be so. Dark Overlord posted a comprehensive list of everything that they had plundered and Dead Men Tell No Tales was not on the initial list of booty. The hackers are demanding an unnamed, but obviously enormous ransom be paid via BitCoin. Disney did not disclose which movie had been stolen by the hackers, but they have recognized and announced the security breach to ABC employees during a meeting in New York today. But Deadline is confirming that the hackers do indeed have Dead Men Tell No Tales and they are threatening to leak it out in snippets, the first being 5 minutes and then 20 minute chunks, until their demands are granted. Disney and the FBI are working together and have said that they will not pay the enormous ransom. The FBI is currently flooded with hacking crimes big and small everyday and it's getting more frequent as the year wears on. The hackers behind the leak of Netflix's Orange is the New Black released the first 10 episodes new episodes because their demands were not met, but in the end, it worked in Netflix's favor. Free promotion for season 5 of Orange is the New Black was all over the news and Netflix's stock even went up 2 days after the leak. Not to mention, the final three episodes of Orange is the New Black have not been released to the public yet, with episode 10 ending on a cliffhanger that some have deemed bigger than the climax of Season 4. Those who weren't subscribing before will want to do so if they watched these episodes illegally. And some speculate it may have been an inside job, because the leak did way more to help than hurt the streaming giant. The FBI says that it's basically up to the company that is being hacked whether to pay a hacker's ransom or not. A lot of times the ransom can be seen as a drop in the bucket in the grand scheme of marketing a huge summer blockbuster movie, but could be devastating to a smaller business. Paying ransoms could also set a dangerous precedent in a time where hacking is an everyday term. So what is this recent hack? Is it better promotion than having Johnny Depp visit Disneyland dressed as Captain Jack Sparrow? This one seems to be a legit hack and Disney is taking no chances, especially since they have Star Wars: The Last Jedi and Cars 3 on their release schedule. It will be interesting to see if Disney ends up caving into the pressure and paying or just let the movie leak before the release date. Disney might want to go back to 2009 when X-Men Origins: Wolverine was leaked and check out the damage that it did to the movie's chances at the box office. 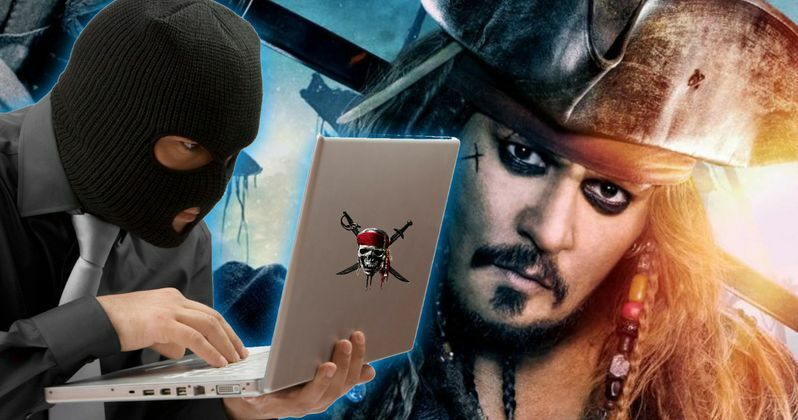 So yeah, Pirates stole the new pirates movie and are threatening to leak it. This is a developing story and more news is bound to come in the next few days. Will the Mouse House pay the ransom to save Pirates of the Caribbean 5? Regardless, the movie will probably do big money at the box office as long as it's better than X-Men Origins: Wolverine, which shouldn't be that hard.